The stay of Enrique Iglesias in Egypt was eventful. The singer had a small mishap during his last day in the country, when the vehicle he was traveling almost collides with a truck. According to foreign media, a tanker truck almost overwhelms the interpreter, giving a scare to him and his companions. 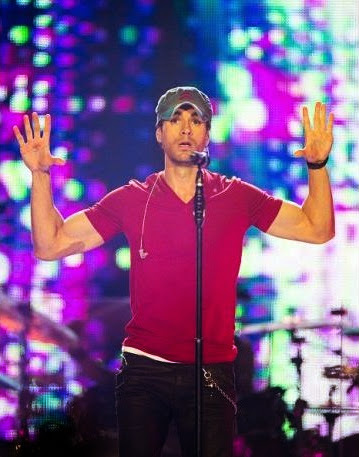 The passage of Enrique Egypt was surrounded at all times by a strong controversy because of the alleged problems of organization and ill-treatment allegedly suffered many of those attended the concert he gave on the coast, according to several local media, we have taken actions to eliminate the country of his concert schedule in the future. However, the Spanish wanted to deny these statements by Twitter would have no problem returning to Egypt to find his admirers in future actions. "Don’t believe everything you read. I have given concerts in Egypt before and look forward to the next opportunity to return. Hopefully soon!". Iglesias said.